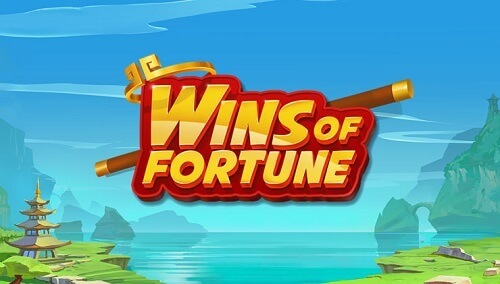 Wins of Fortune is a 5 reel video slot game with up to 259 pay-lines. The video slot machine game is powered by Quickspin software provider. Wins of Fortune Slot has an orient-theme and is inspired by magical creatures. The reels are set in an enchanted landscape with temples, mountains, and a calming sea. Try out the slot at one of our top rated online casinos for free or choose to play for real money. Adjust your betting range before you travel to the Far East. Click on the “Total Bet” button to set the denomination of the coin which ranges from 0.20 to 100. When you click on auto, play without disruption for the chosen number of times. Above the auto play button, there is a “Spin” button that will set the reels in motion. The wild symbol substitutes all symbols on the reels. The wild symbol can also make a winning combination only when replacing a win. Respin feature gets activated after landing a winning combo in any spin during the game. With each re-spin, the number of ways to win will increase. Winning symbols move one position to the left and the outstanding symbols stick for the re-spin. The reel grid rises for each re-spin to 5×5. The re-spins continues until there are no wins. The Super Respin feature is activated after winning the 4th re-spin. All winning symbols remain in Super Respin. The casino game will re-spin until there is no additional winning symbols remaining on the reels. Winnings are paid for every respin. Play this awesome online video slot game and enjoy great gambling experience at your favourite best rated online real money gambling site.